Be creative! 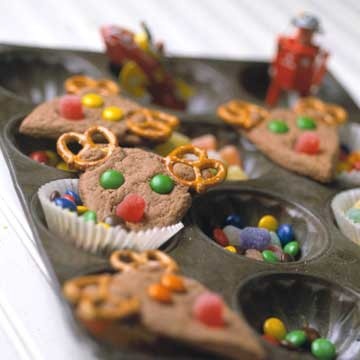 What about baking some fun Chocolate Reindeer cookies with your little ones?! The Weather Channel and Better Homes and Gardens, www.bhg.com, recommend these fun treasures. I hope you are all having a good holiday season….. I had hoped to post these thoughts a couple days back, but unfortunately, I didn’t have the chance until now. And even though it’s the day after Christmas, I still want to approach the topic. I’m proposing that it’s not too late to make a difference this year. In my experience, from listening through the years, holidays are typically very difficult times for dissociative trauma survivors. All too often, holidays are closely connected with painful memories, traumatic times, and troubled family relationships. Holidays tend to be filled with heartbreak, conflict, aloneness, exclusion, depression, grief, and that nagging aching awareness that things are not anywhere near close to okay. 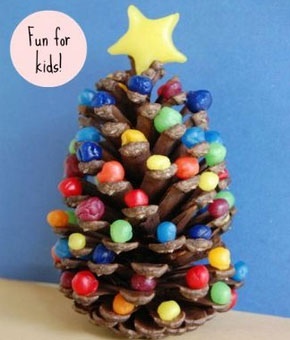 More fun holiday ideas from DIY. 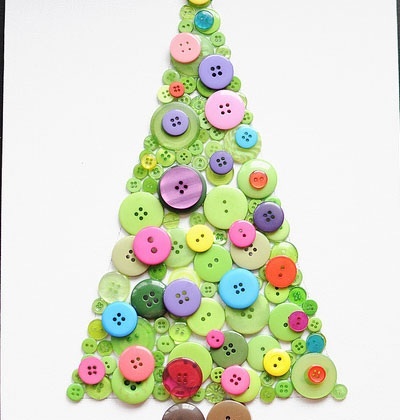 It would be easy and relaxing to make pretty decorations like this with your little ones. Try it! Having a good Christmas holiday is a need unfulfilled – an experience unknown. Because this is such a common area of tenderness, I am strongly encouraging you to do something different for yourself and your inner people. You can’t force or demand a change in your family members, or create fulfilling outside relationships for the holiday moments when those relationships haven’t already been there, but you can still make the holidays a good time – a memorable and special occasion for yourself and your internal system. As soon as you are able, find a time and a place of your own where you can do a variety of special things for yourself and your inner-ones. Be determined to make some good memories this year! For example, did you do anything this month to make the holidays new or memorable or pleasantly surprising for your inner kid parts? Did your littles get to read any Christmas stories? Or watch any holiday festivities? Did anyone in your system get any presents? Do you know what kinds of things they might want if they were to get a gift? Most times, it doesn’t take much to bring a smile to their little tiny faces, and I can’t encourage you enough to do these things for them. Even now, at this point in time in your life, you can take the time to do things for your internal kids to make up for what they may have missed through the years. And especially, if you are not living with people who safely interact with your littles, I’d bet that most of your inside kids didn’t get many treats this year. So those little insiders will probably be looking to you, the bigger ones in the system, to provide those kinds of new experiences. For most of you, it’s only the day after Christmas. It’s really not too late. 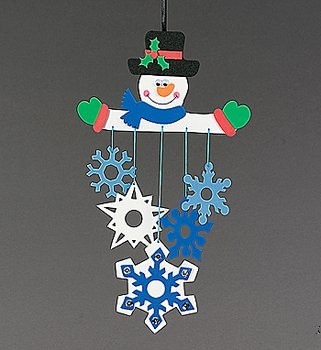 There are still Christmas decorations available in the stores (and now at clearance prices!). There are still cookies to bake, and little presents available everywhere. There are Christmas lights all around, and it still feels like Christmas. At least it does around here. And it can, for you too. Take a few minutes to listen to your inside ones, and find out what they want for Christmas this year. Like all kids, some of their requests might be too big for you to realistically get for them.. But then again, maybe a small stuffie, or a home-baked cookie, or a pretty treasure from the dollar store would brighten their day. Or, if you can see your internal worlds, you can give each other all kinds of things that way! The options are limit-less, and it’s free ! Look at these wonderful Christmas ornaments! 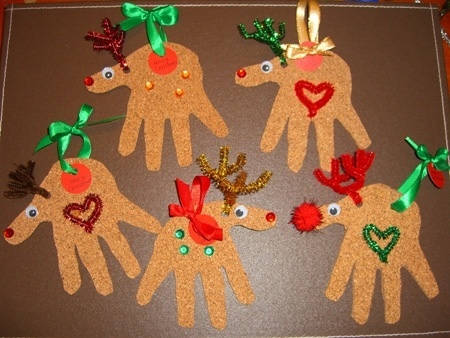 Make fun reindeer to decorate your house in any room or window. This fun idea was found at www.mommygaga.com . Let the littles have a chance to make holiday gifts of appreciation for the others in your system. Little ones inside might want to give something to each other, or maybe they want to make something to give to some of the older ones as well. Encourage the ideas of giving, sharing, and being kind and generous with each other. These kinds of activities are great in terms of encouraging greater system cooperation and positive emotional connections with each other. Who doesn’t feel more kindly towards someone who shares a nice gift with them? Encourage pleasant holiday experiences too. Maybe the littles or other people in your system can have a few private minutes to look at the neighbor’s Christmas lights, or to watch a TV show with a holiday theme. Maybe they would blossom at having the freedom to sing some of their favorite Christmas songs, or to jingle a bell. Ask them what they want to do, and if it’s at all possible, make it happen! Let your insiders experience some good things. Create a positive holiday experience for them this year. 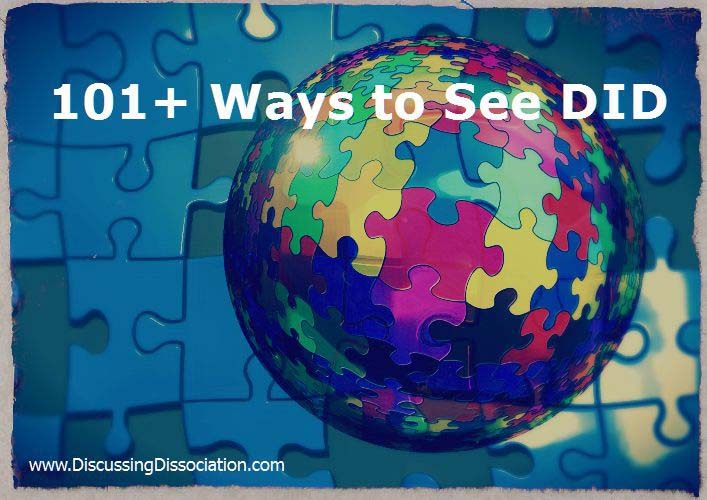 I’m convinced that a big part of the healing for survivors with Dissociative Identity Disorder is giving your inside kids some of the healthy, life-enriching experiences they may have missed out on while growing up. You don’t have to make a visible scene in front of anyone else – please be safety conscious and very wise about where you allow your kids to surface, especially in public. But, when you are in that safe and private place, let your kids experience some of the joys of Christmas first-hand. Do something for them, to bring a smile to their face. Let them have a good holiday memory of their very own this year. Children making gingerbread houses and creating positive memories. This cheerful picture was found at www.education.com . Every child needs something good to remember. What are your inside children gonna remember about this year? 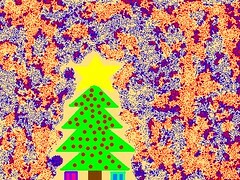 I wish you the best holidays ever! Hi Kathy, I’d never considered any of this – so thanks! Another great post. Hope you had a great Christmas yourself. Yes, I’ve had a very good Christmas this year, thank you. This is sooooo important for us. We learned early on that the only way we can do the hard stuff is if we are ALL rewarded with good stuff too. And for us, it is a huge issue at Christmas, but it matters the rest of the year too. Other holidays, birthdays, bad anniversaries, and just doing everyday stuff. For example, when we got our first job, we worked at a kids’ clothing store, right smack between two toy stores. It was extremely hard for our littles to allow us to work and not come out to look at the pretty clothes or simple leave the store and go play next door. So, we had to give them reason to. Everday on our break, they were allowed (with supervision of course) to go to the toy stores or the pet store. They also got to make the first big purchase from our paycheck (a guinea pig named persephone) and got an allowance from subsequent checks. They had never experienced doing something good to help us all out like that, and in time, the pride became its own reward as well. At holiday times, something important for us is making our own traditions. Often the “normal” traditions have been perverted by our perps, so we make new ones. For the holiday at the end of october this year, we carved a white pumpkin instead of an orange one. At christmas we give presents to each other and decorate inside. Ah. Some years we’ve been able to have pleasant Christmases, for all of us, following similar lines of thought to those expressed here. But what the kids really want is for their mother to love them. They miss their family on Christmas morning, and they want what they always wanted. Some years, when we were young, Christmas was a magical day or two they could believe they were cherished, cared for. Seen. I can’t give that to them. Christmas this year was a miserable failure, despite what we tried to do for them. They want a mom, they want a family and a home. They want to be loved, and we aren’t. We never were. I have no idea how to right it for them, for any of us. Oh Rose, this is such a painful area…. I do understand what you are talking about. The loss and grief and heartbreak of not having a loving mother is such a tender area for so many DIDer’s. My daughter’s little one has given us her Christmas list. Her name is Lily…we have promised her a special christmas. Along with everyone else for that matter. My daughter’s “keeper” as we like to call them…is Raven. She is the one who as told us Lily is really looking forward to Christmas. I’m looking forward to this holiday for them and for my daughter. I hope to shine a little bit more of happiness to her. This is a great list of ideas for Christmas fun. Holidays can be a very tough time for those working on building new memories and new lives. The possibilities are endless, and its never too late to build new fun memories!!! We can do it one day at a time or even one hour at a time. Blessings to you and yours. thank you for this post. i’m seeing it just in time! 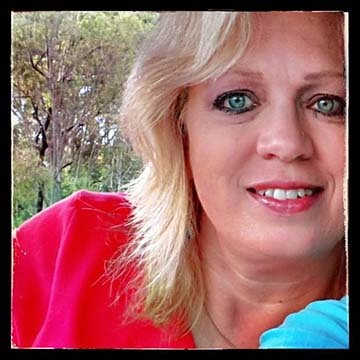 I have been looking through Kathy’s postings for articles on dealing with the holidays. I really like this one because it encourages us to create new memories of the holidays and to do some special things for our little ones. I thought that it might be a good one to activate here in anticipation of Christmas. What kinds of things can you do to make Christmas happy and special for your little ones? What would your little ones ask Santa for if they were to write him a letter? Can you let yourself feel the excitement of Christmas that some of your little ones may feel? What do your little ones tell you about Christmas and what they want for Christmas (not just things but events, people, activities, crafts. etc.). Let’s see if we cannot help inspire each other with some happy Christmas ideas! there be sombudy we love visting here and hopfoly we gona get to spend more time with her after crismas and her sed we can have crismas presnts to open with her.and we gona get ise crem. and also we got 2 kids gona come to are house to make ginjrbred housis. and we mite take them to see a muvie to. and we gona play with are dogs. and we wuld love to go to the park to play catch cuz we got a new ball thats ranbow colers. and are mom sendid us cokies to eat. Last year in 2017 were not so good about doing this. It was our first Christmas with out Joseph. Joseph would always get gifts for all of us. We have our big tree down stairs that the entire family uses. Then we have our Tree up stair in our room, Just for us. Last year Lori got something for Jessie and me but nobody did anything else. That was a sad this year I already know what I want to give Lori and Jessie and Sissy. So even If Joseph is dead it was his favorite thing. He loved us all and he wanted us to get along and be happy so maybe I will even give him a gift and this year and start put pictures of happy things we do and put it under the tree. I like to take pictures so going to give Lori s pictures book with her quilts mr D said he would help print them off Jessie like to research so I’m going to give her a notebook and a new pen for her notes sissy like to drink so I will make her a new coaster with one of my pictures Mean Man said he would cut the wood for me and I can glue the picture on it. Wow these are all great ideas! What a special experience this Christmas will hopefully be for you all. And a great way to remember Joseph. Thank you for sharing. You are inspiring and a gift to our community here.